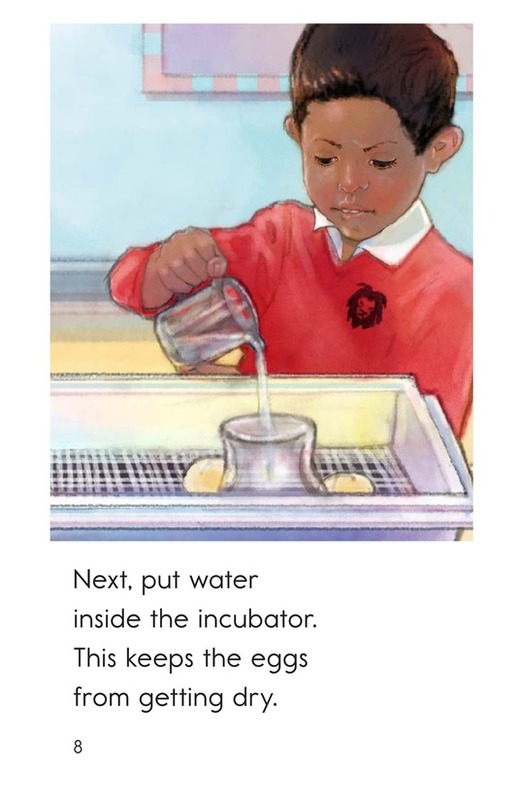 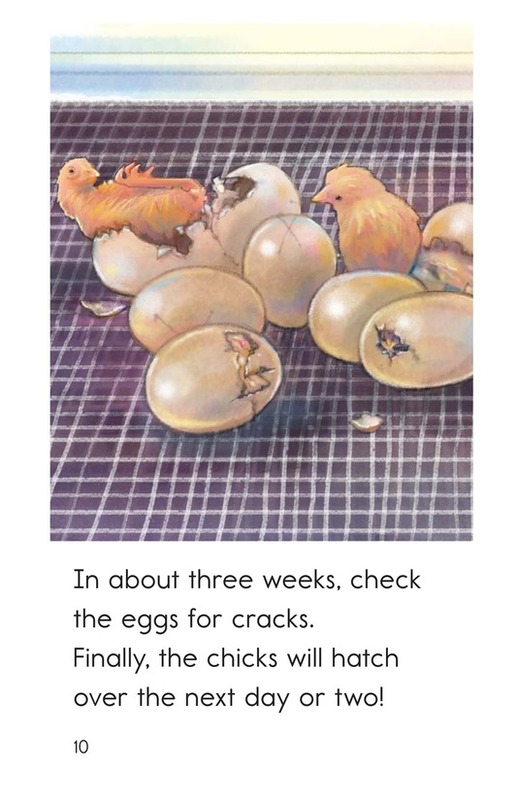 Do you know how chicks hatch from eggs? 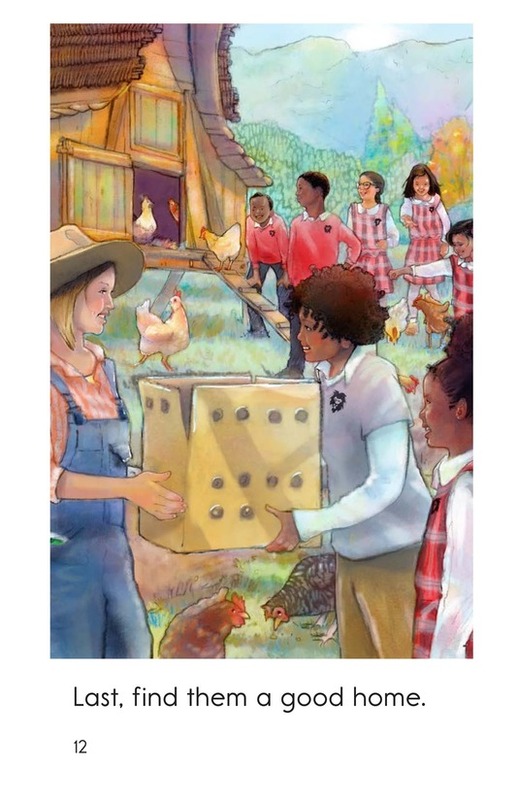 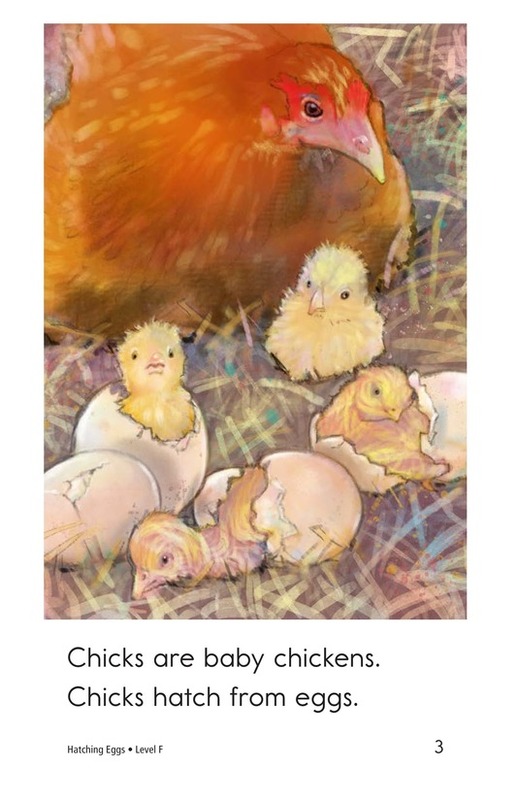 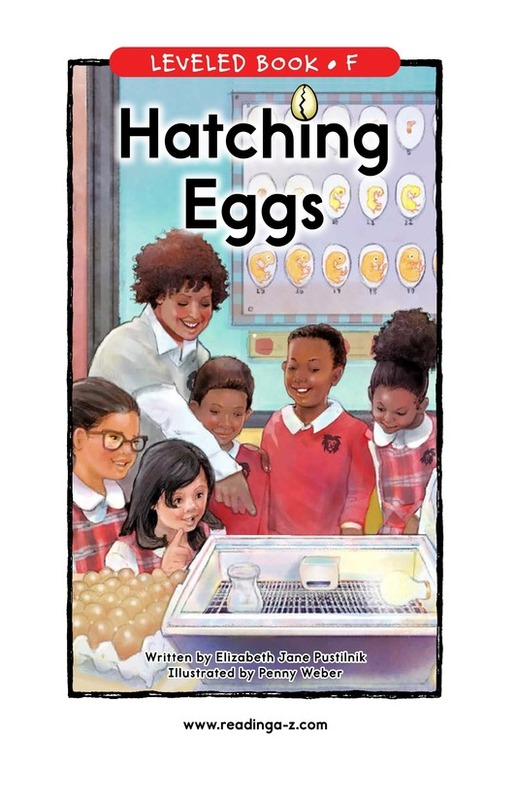 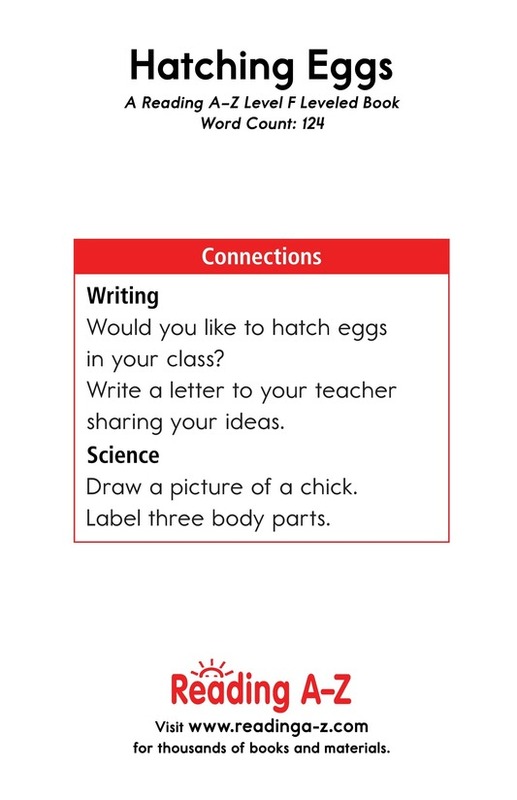 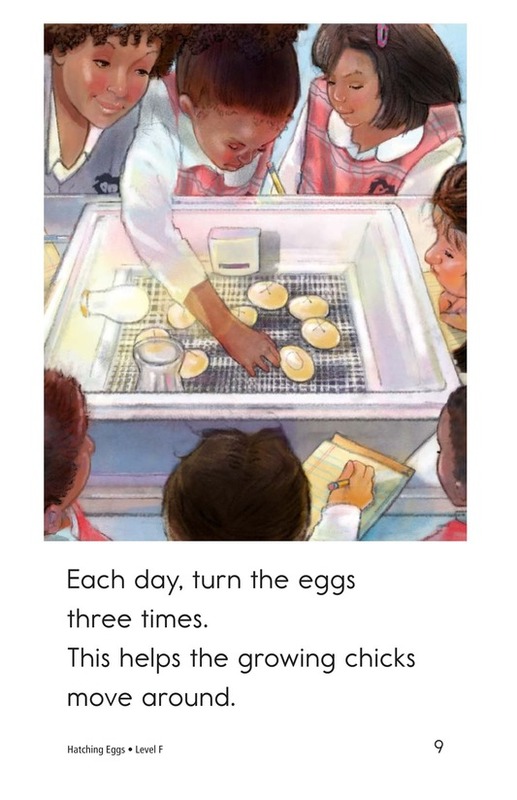 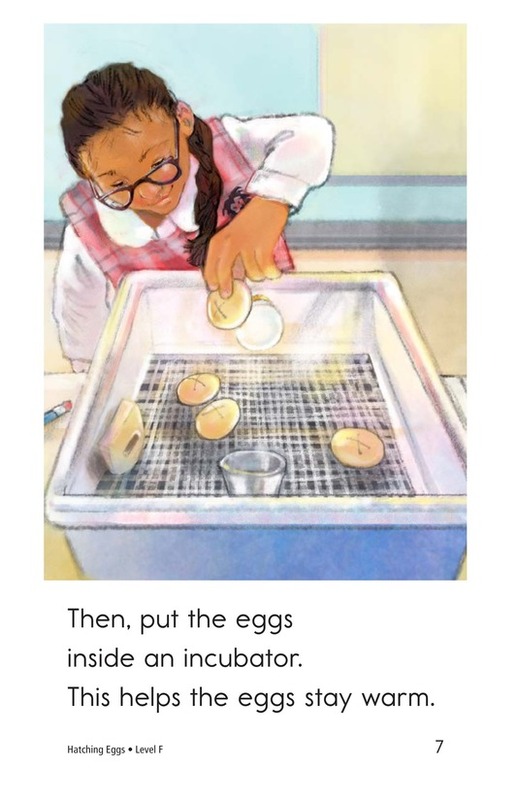 After reading Hatching Eggs, students will be able to answer this question as they follow a class through the steps of helping chicks hatch. 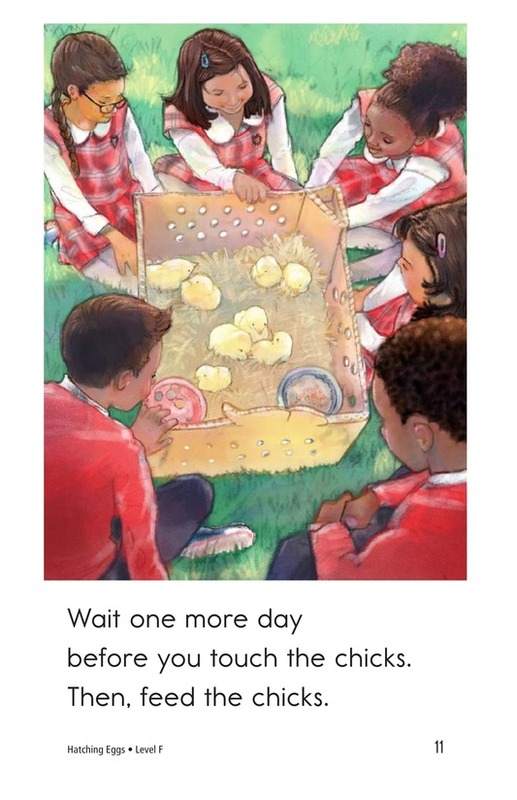 The book uses colorful illustrations, high-frequency words, and repetitive sentence patterns to support emergent readers. 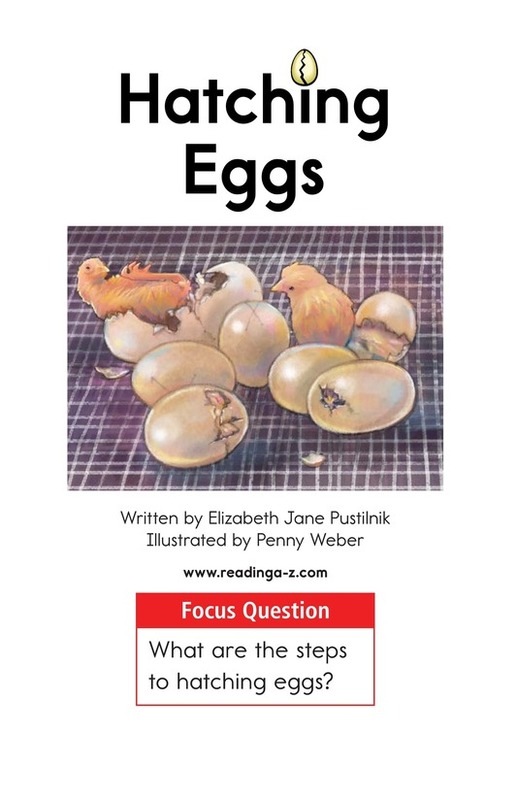 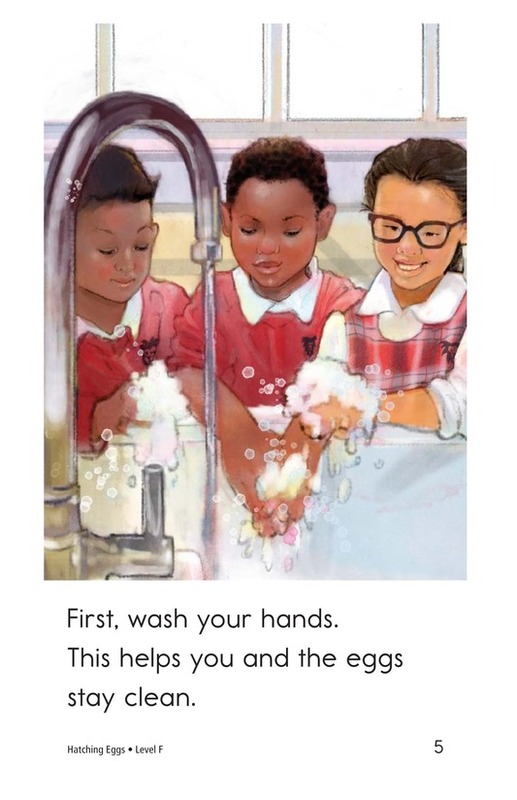 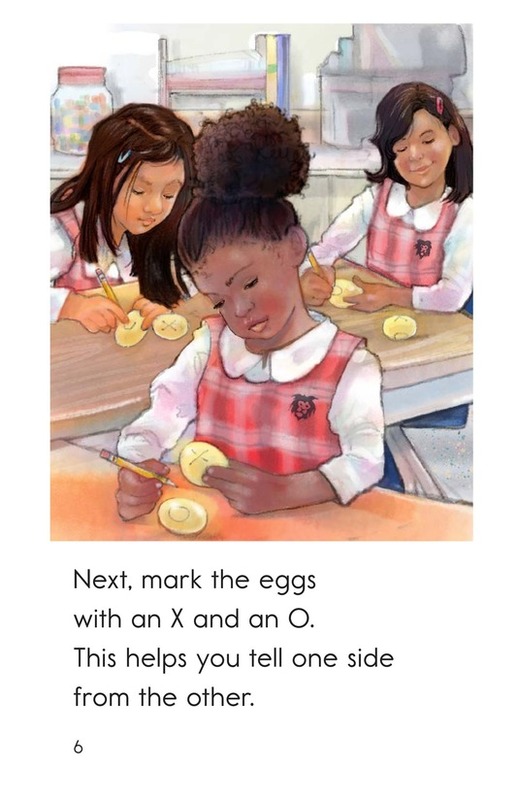 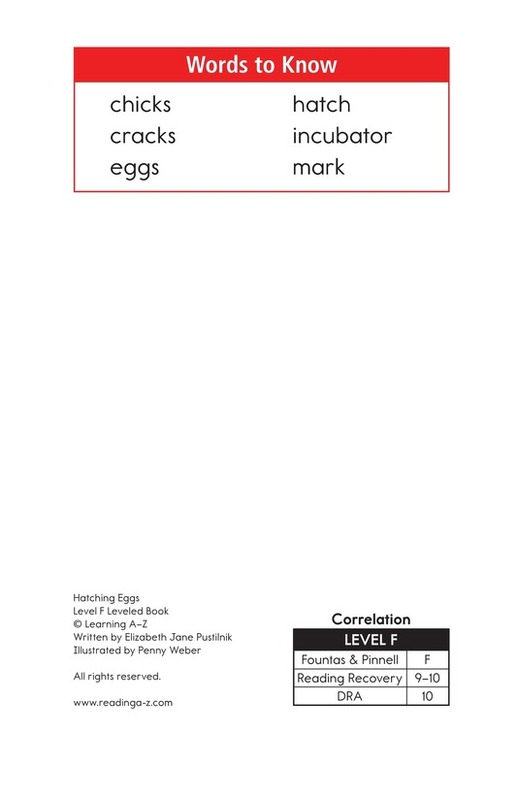 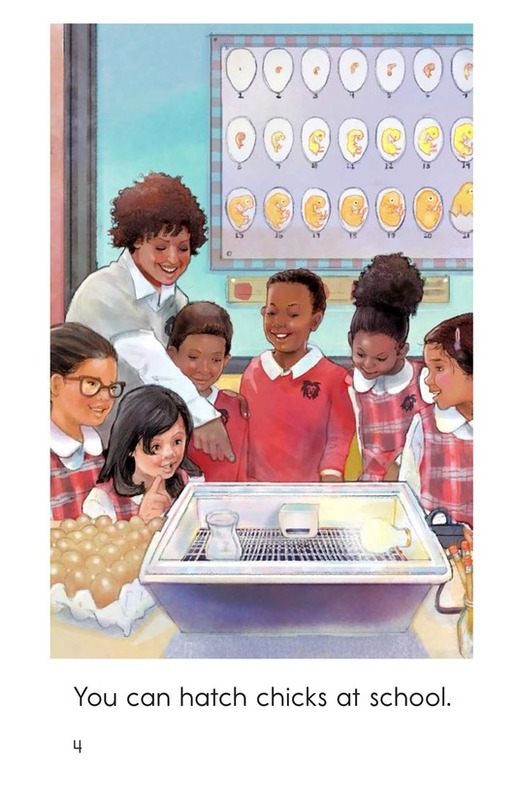 The book can be used to teach students about sequencing events and using commas after introductory words.